Hey folks! We know you’re tired of webinars; let’s meet face to face. Please attend one of the pre-conference workshops on Wednesday October 21st! The New Mexico State Library brings you two top talks at a very affordable price. Each day-long workshop costs only $25 (lunch on your own). Learn the latest about cataloging in the RDA workshop with our hero, Bill Walker from Amigos. 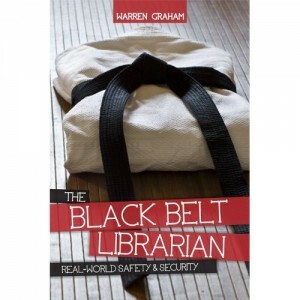 Practice your chops on problem patrons with Warren Graham, the Black Belt Librarian! Also, don’t miss out on our regular sessions — including a meet and greet with the new State Librarian! Presenter Warren Graham is security professional for more than 30 years, including 17 years as the security manager of the Public Library of Charlotte and Mecklenburg County, North Carolina. Warren Graham left the library in 2006 to establish Warren Davis Graham Training and Consulting. Graham has made countless presentations and is a leading speaker internationally on practical day-to-day library security procedures. This presentation will be great not only for librarians of all kinds, but also library security staff. Should be lively & entertaining as well! The price is right and the location is central and the timing is on target! Check our box when you submit your registration. I am looking forward to meeting many New Mexico librarians at the upcoming NMLA Conference. My time slot is Thursday, October 22 from 11-11:50 am in the Santa Fe Room immediately after the New Mexico State Library Commission meeting. Since we have almost an hour together I contacted my former colleague at the New Jersey State Library, Peggy Cadigan, Deputy State Librarian for Innovation and Strategic Partnerships to ask if I might “borrow” one of her recent state conference presentations. She sent me one that she did for the Maine State Library entitled “Ways to Make your Library Discoverable”. I will, of course, delete references to Maine, but otherwise I believe that everyone will find at least one new idea they would like to try from the show. If you enjoy the presentation I will certainly see if I can get Peggy to do an entirely new Power Point for next year’s conference. See you soon!